Thank you for visiting Soapy Hollow, a bespoke manufacturing and testing company of organic, natural, and artisan crafted bath and beauty products. 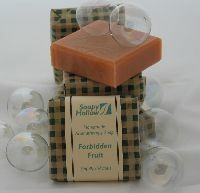 SoapyHollow has been a federally registered formulator, perfumery and soap manufacturing concern for more than a decade. Our product line includes wood stirred traditional soaps, sugar boiled glycerin soaps, scent and perfume design, salts, beads, aerosols, gels and lotions. We partner with other craftsman to also provide handmade cloths, towels, and felted accessories to fit your decor and aesthetic. Currently, we only accept orders from the trade. If you would like to try some formulas and processes to make your own soaps, lotions, bathbombs and notions, go here. This is a list and brief definition of commonly used ingredients in cosmetic formulations. If you would like to talk to us about doing peer-review or analysis of your formulas, or would like to talk about our manufacturing schedule for making bespoke products for you, we’d love to hear from you via: “information AT soapyhollow.com”.